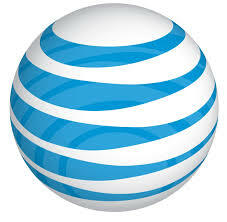 GSA awarded AT&T the task order on behalf of the U.S. Department of Health and Human Services. The U.S. General Services Administration (GSA) awarded AT&T a task order valued up to $119 million to support the Centers for Disease Control, installing a solution that will support the work of agency employees and contractors nationwide, including Puerto Rico. AT&T’s contract will help improve CDC’s local area network, in-building cellular coverage and Wi-Fi with a single, fully managed telecommunications solution, the carrier said Tuesday. “We’re delivering reliable connectivity to help CDC experts protect our nation’s health,” said Mike Leff, vice president-civilian, AT&T Global Public Sector Solutions. GSA awarded AT&T the task order on behalf of the U.S. Department of Health and Human Services. The task order includes a 7-month base period and four optional years. It is awarded through GSA’s government-wide acquisition contract called “Connections II.” Federal agencies use Connections II to acquire network and telecommunications labor, equipment and support for buildings and campuses. The CDC is America’s health protection agency. To accomplish its mission combatting health threats, CDC conducts critical science and provides health information. The CDC’s goal is to protect our nation from expensive and dangerous health threats and respond swiftly when these arise. Hey Buddy!, I found this information for you: "AT&T awarded 9M, 5-year contract to support CDCs". Here is the website link: https://newsismybusiness.com/awarded-contract-support/. Thank you.